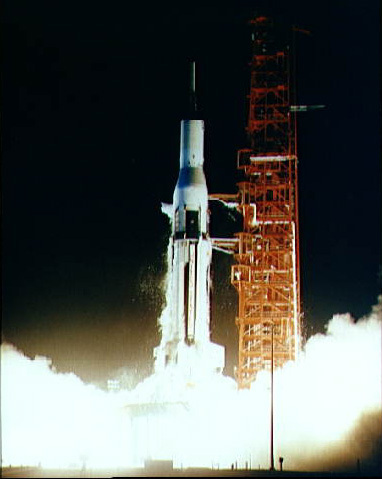 Forty-five years ago today — May 25, 1965 — NASA launched Apollo boilerplate mission BP-26 from Cape Canaveral. This mission, like the previous mission in February, carried a satellite experiment. The Pegasus 2, like its predecessor, had large wings that detected impacts from micrometeoroids. The boilerplate Apollo command and service module acted as a protective shroud over the Pegasus experiment during launch. Ten years ago today — May 19, 2000 — the Space Shuttle Atlantis launched from the Kennedy Space Center on mission STS-101. Astronauts James D. Halsell, Jr., Scott J. Horowitz, Mary Ellen Weber, Jeffrey N. Williams, James S. Voss, and Susan J. Helms, along with cosmonaut Yuri V. Usachev, carried the SPACEHAB module into orbit and took part in International Space Station Assembly Flight ISS-2A.2a. They installed new equipment, delivered a ton of supplies, and made repairs to the station. And today, of course, Atlantis is taking part in another space station mission at this very moment: installing equipment, delivering supplies, and making repairs. Its current mission also happens to be the last scheduled mission for Atlantis. We look forward to a successful conclusion and a graceful retirement for shuttle Atlantis. Five years ago today — April 15, 2005 — the “Demonstration of Autonomous Rendezvous Technology” (DART) spacecraft was launched by a Pegasus-XL rocket from Orbital Sciences Corporation’s L-1011 carrier aircraft flying out of Vandenberg AFB. The DART spacecraft was meant to rendezvous with and maneuver around the Multiple Paths, Beyond-Line-of-Sight Communications (MUBLCOM) satellite; however, the mission was not successful. Twenty-five years ago today — April 12, 1985 — Space Shuttle Discovery, which is in space right now, lifted off from the Kennedy Space Center on mission STS-51D. The Discovery crew consisted of astronauts Karol J. Bobko, Don E. Williams, Margaret Rhea Seddon, S. David Griggs, Jeffrey A. Hoffman, and Charles D. Walker, plus astronaut/Senator E. “Jake” Garn. 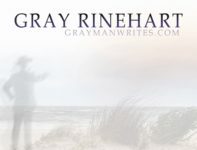 Senator Garn was the first active member of Congress to fly into space, but he was uniquely qualified to do so, having been a Naval aviator and then a pilot in the Air Force Reserve. They deployed two satellites, Telesat-1 (also known as Anik-C1) and Syncom-IV (also known as LEASAT-3), though the latter did not spin up properly and its boost motor failed to ignite. It was recovered and repaired on a later shuttle mission. Forty years ago today — April 11, 1970 — the Apollo-13 mission launched from Cape Canaveral. Astronauts James A. Lovell, Jr., John L. “Jack” Swigert, Jr., and Fred W. Haise, Jr., were on their way to the Fra Mauro region of the moon. Everything went well for the first two days, but on April 13th the Apollo-13 Service Module suffered a crippling explosion. The number two oxygen tank ruptured, causing a cascade of failures throughout the spacecraft’s systems — including the loss of all the oxygen from the number one tank as well. NASA aborted the Moon landing and turned their full attention to getting the astronauts home alive. The crew splashed down successfully on April 17th. This page has a good explanation of the cause of the accident. 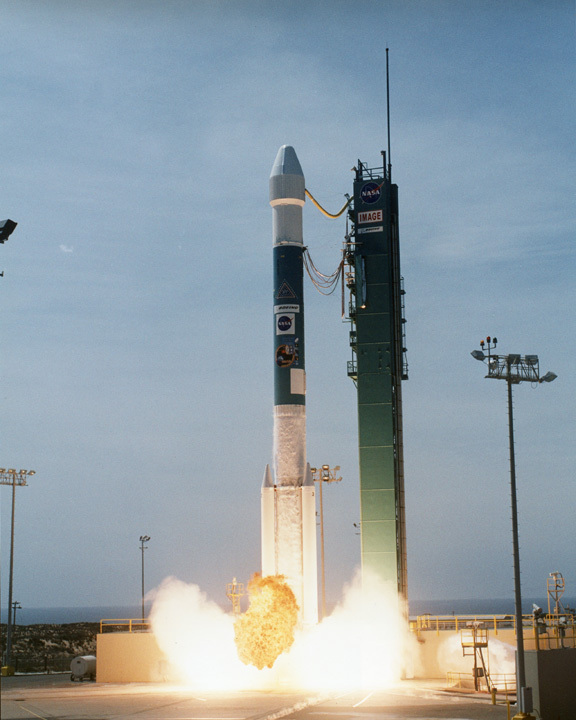 Ten years ago today — March 25, 2000 — the “Imager for Magnetopause-to-Aurora Global Exploration” spacecraft, also known as IMAGE, was launched from Vandenberg AFB, California, atop a Delta-II rocket. IMAGE was designed to study the Earth’s magnetosphere for two years, but it exceeded all expectations and actually sent back observations for over five years. IMAGE was the first satellite mission dedicated to imaging the Earth’s magnetosphere, the region of space controlled by the Earth’s magnetic field and containing extremely tenuous plasmas of both solar and terrestrial origin. flew the research aircraft 24 times and achieved its fastest speed and highest altitude. He attained a speed of 4,104 mph (Mach 5.92) during a flight on June 27, 1962, and reached an altitude of 354,300 feet on August 22, 1963 (his last X-15 flight). From a strictly personal point of view, I like these particular history items because I was stationed at both of those air bases during my career. On March 16, 1975 — 35 years ago today — the Mariner-10 spacecraft made its last flyby of Mercury. This was also its closest flyby, passing within 327 km (203 mi) of the planet. On this flyby, Mariner-10 discovered that Mercury has an intrinsic magnetic field. A trajectory correction maneuver was made 10 days after launch. Immediately following this manuever the star-tracker locked onto a bright flake of paint which had come off the spacecraft and lost lock on the guide star Canopus. 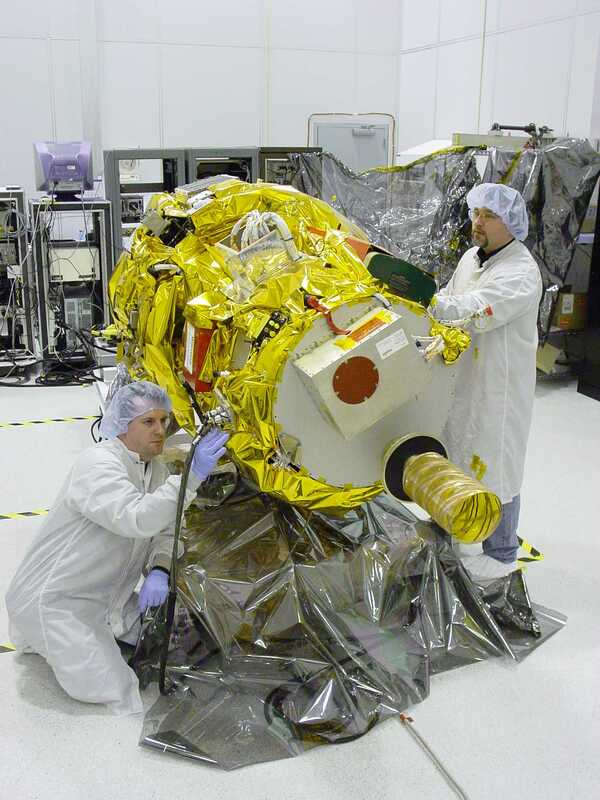 An automated safety protocol recovered Canopus, but the problem of flaking paint recurred throughout the mission. Since 1975, when the last of its attitude control propellant was used up, Mariner-10 has remained in orbit around the sun. Fifty years ago today — March 11, 1960 — the Pioneer-5 space probe launched from Cape Canaveral atop a Thor-Able rocket. 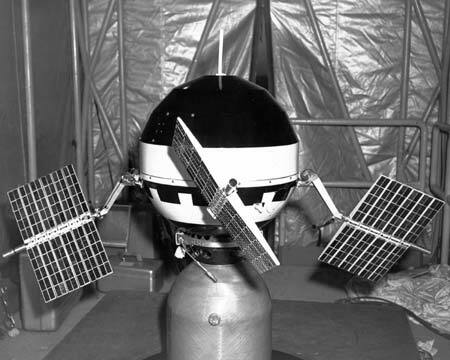 Pioneer-5 was one of the first deep space missions, and achieved a heliocentric (sun-centered) orbit between Earth and Venus. Scientists maintained contact with the vehicle for 106 days and received signals from a distance of 36.2 million kilometers (22.5 million miles), the farthest distance achieved at that time in the space race. Telemetry received from Pioneer-5 confirmed the existence of the interplanetary magnetic field, which until then had been just theoretical.